We offer one-stop convenience for your eye care and eyewear needs. 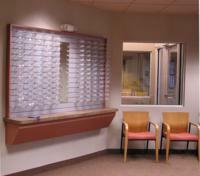 Sterrettania Ophthalmology & Optical Store is a comprehensive medical/surgical Ophthalmology and Optical shop. Located at 4000 Sterrettania Road in Millcreek, we are committed to providing our patients and customers with the highest level of service in both our practice and optical shop. We offer one-stop convenience for your eye care and eye-wear needs. 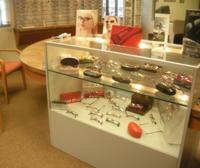 Sterrettania Optical Store offers a variety of glasses and contact lenses. Everything from sports eyewear – including golf, biking and shooting glasses to designer frames for sunglasses and safety glasses. We offer the latest in frame fashions and exclusive designers that cannot be found elsewhere. Amongst our expansive collection we carry Diesel, Valentino, Juicy Couture and several other mid to high end fashions. In addition we offer specialty and designer tints and anti-reflective coatings. We also offer progressive bifocals, occupational glasses and all types of lenses and materials. With our contact lenses, Sterrettania Optical prescribes daily, frequent replacement and bifocals. Most major insurances are accepted.